St John the Baptist is one of six churches which straddle the Norfolk/Suffolk border, and make up the Somerleyton Benefice. Built mainly of flint and with a typically East Anglian round tower, the wonderful interior was designed by Sir Ninian Comper, and was described by John Betjeman as the "golden church". 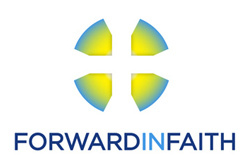 We are a Forward in Faith and Society parish, and are under the episcopal oversight of the Bishop of Richborough. The church is open every day from 8am to dusk.